Equipped with eight individual heating units and numerous optimized and ready-to-use gentleMACS Programs the gentleMACS Octo Dissociator with Heaters offers a fully automated workflow for tissue dissociation. 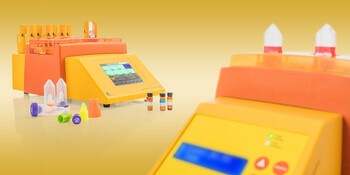 In addition the instrument allows the user to create user-defined programs for almost any biological material. All eight positions can be operated independently. 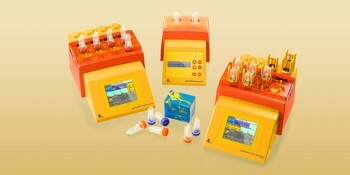 Single-cell suspensions or thorough homogenates are easily and reproducibly obtained using the unique C Tubes or M Tubes. These single-use gentleMACS Tubes allow sample preparation in a closed and sterile system, providing a high level of user safety and minimize cross-contamination. Additionally, user-defined programs can be used to create fully automated workflows for all other tissue types. The gentleMACS Octo Dissociator with Heaters. Heating units for the gentleMACS Octo Dissociator.